Calvary Baptist Church began as a prayer about having another Baptist Church in Bay City. 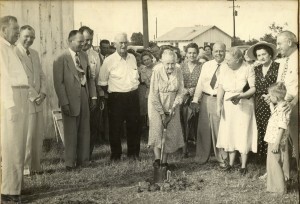 Twenty-nine people met in a home to organize the church on the night of August 22, 1947. Sixteen people signed up as charter members. Our first service was held in the old City Hall. Approximately fifty more charter members joined. We soon began the search for a permanent church home and purchased the property where our church stands today. We set up a big tent for worship. We bought an Army mess hall near Galveston to salvage material from. The women prepared supper every night while the men worked under the tent pulling nails out of the used lumber to prepare it for use in building the new church. Since those early days, two churches have been born out of our membership – Baptist Temple of Bay City and First Baptist Church of Van Vleck. 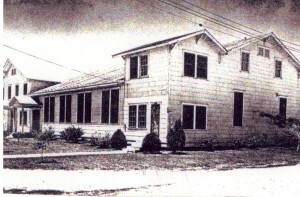 Around 1964, the church voted to sell bonds to build our existing Sanctuary. We later purchased more property across the street for parking. Calvary Baptist Church began a United We Build campaign in 1996. This three-year program allowed us to build a new foyer with a front door, an office area, more education space, a fellowship hall, and a kitchen. Our facilities have served our church family well throughout the years. God continues to provide! !